As an agribusiness owner in rural Africa, I hear silver bullet solutions promising to transform rural economies all the time. Bio-technologies, digital miracles, financial wizardry, flooding villages with money, wonder drugs, the list is long. The farther away the author is, the more optimistic and all-encompassing the solution. Yet, in my 22 years of operating in Uganda, I have seen no evidence of quick fixes. But rural economies can be transformed and people’s lives enriched on a large scale. What it takes is donor collaboration and a concerted, consistent engagement with farmers and communities. 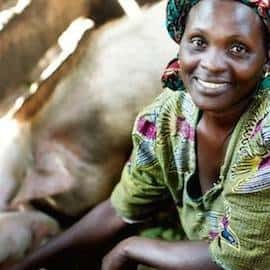 The Gulu Agricultural Development Company (GADC) story illustrates the enormous potential to improve rural lives when donors and business collaborate. From 1995 to 2006, northern Uganda was one of the most dangerous places on Earth. Joseph Kony’s Lord’s Resistance Army invaded villages, killed adults and abducted children as slaves and soldiers. Their activities were pervasive; no village or farmer was safe. Farmers were forced off their lands, living in internally displaced people’s camps for over a decade, and a whole generation of farming knowledge was lost. In an area where 95 percent of the population are smallholder farmers, this was utterly devastating. But once Joseph Kony was evicted, peace descended remarkably quickly. People returned to their land, and NGOs flooded in to provide essential goods to survive the transition back to normal life. The aid was essential, but not sustainable. People can’t live forever on charity. I founded GADC in 2009 to invest in northern Uganda, just as NGOs were pulling out of the region and farmers were re-establishing their lives. We train smallholder farmers in agronomy and financial literacy, and buy cotton, sesame, sorghum and chillies from over 120,000 farmers. The training helps farmers, but we are not a charity – we’re a business working in a difficult market with limited infrastructure. We needed the farmers to relearn what they had lost in the conflict and to sell their crops to us for processing and exporting to premium markets around the world. No cotton, no business. Committed to investing in the farmers, we approached international donors. While donors wanted to contribute to development, they could not deliver as distances are vast, roads terrible and farmers illiterate. But we had built a network out of necessity—to buy enough cotton to break even, we had to collect it from smallholder farmers and pay cash. The past five years have been a case study in how business and donors can collaborate with local communities to transform rural economies. Too often businesses and NGOs operate in the same area but never talk; yet businesses can deliver where NGOs have no access. Ours is an example of how communication and a partnership model enabled great success. 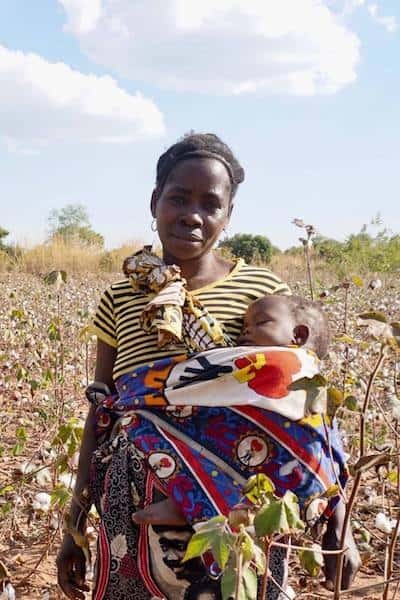 In northern Uganda, the cotton ginnery at Gulu Agricultural Development Company has experienced rapid growth in an impoverished, war-weary, subsistence-farming region that has been desperate for sustainable economic development. The Gulu cotton eneterprise was begun in 2009, following the ouster of Joseph Kony’s Lord’s Resistance Army (LRA) and new regional peace. South African entrepreneur Bruce Robertson undertook the business, seeking to build on his successful cotton gin operations in western Uganda. Through a train-the-trainer model, farmers learn basic agronomy – site selection and preparation, planting methods, integrated pest management, harvesting, storage and marketing. It is practical and takes place in the field, and builds on what farmers already know. Farmers have always been doing business, working and surviving off the land for generations. 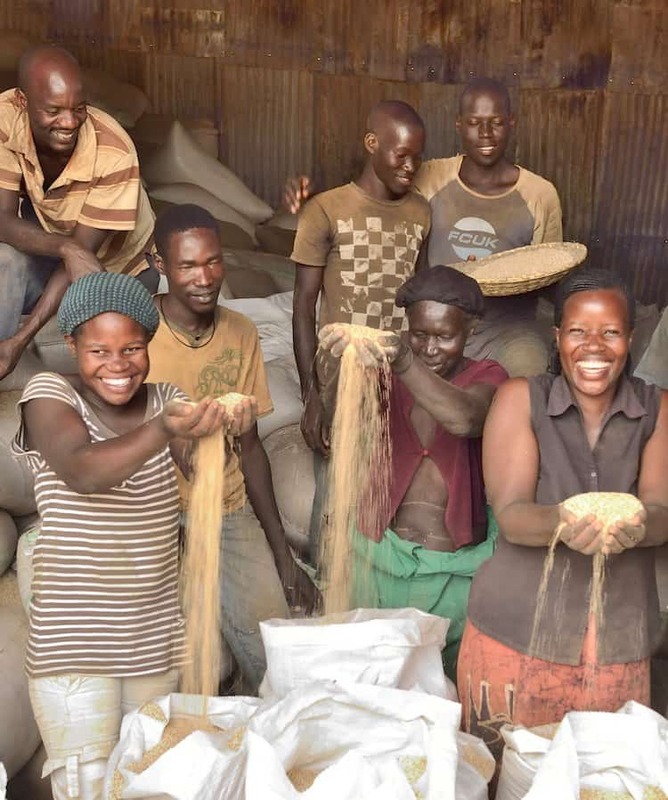 What they need are strong support and distribution networks that can tap into these needs, and connect them to markets and resources that can build a stronger livelihood. In three years, farmers’ yields have increased by 30 percent, and in some areas up to 150 percent. Any increase in yields and quality directly improves the lives of the men, women and children in those communities. Crucially, GADC guarantees to buy back, at market price, all the crops farmers grow. This is fundamentally different from the many NGO-operated programs that have increased farmers’ output but left them with nowhere to sell. GADC, on the other hand, has well-established export markets — commercial viability is a necessary condition of sustainability. The donors – Sweden, Germany, Britain, Mercy Corps, the UNDP and Technoserve – fund the training, audit the expenditure and measure the impact. They ensure that we as a business are delivering a return on social investment, but they don’t try to get involved in delivery. It is in business’ interests to deliver efficiently and report well, to attract more funding to the area, and expand farmers’ production. Donors seeking impact should leverage this incentive, working in partnership with businesses or established local networks instead of funding supposed “silver bullet” solutions. 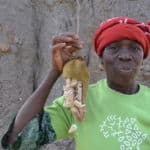 This is a replicable model with huge potential for expansion: Wherever crops are grown in rural Africa, there are businesses that buy or process the produce. Embedded in these areas, these businesses provide the ideal network to train farmers and support them to grow their yields. Our partnership model provides a template for productive collaboration, having succeeded in the most challenging area of Africa—post-conflict northern Uganda. Bruce Robertson is the founder and CEO of Gulu Agricultural Development Company in Uganda. He is a 2017 John P. McNulty Prize Laureate and an Africa Leadership Initiative – South Africa Fellow of the Aspen Global Leadership Network. Photos courtesy of the McNulty Foundation.